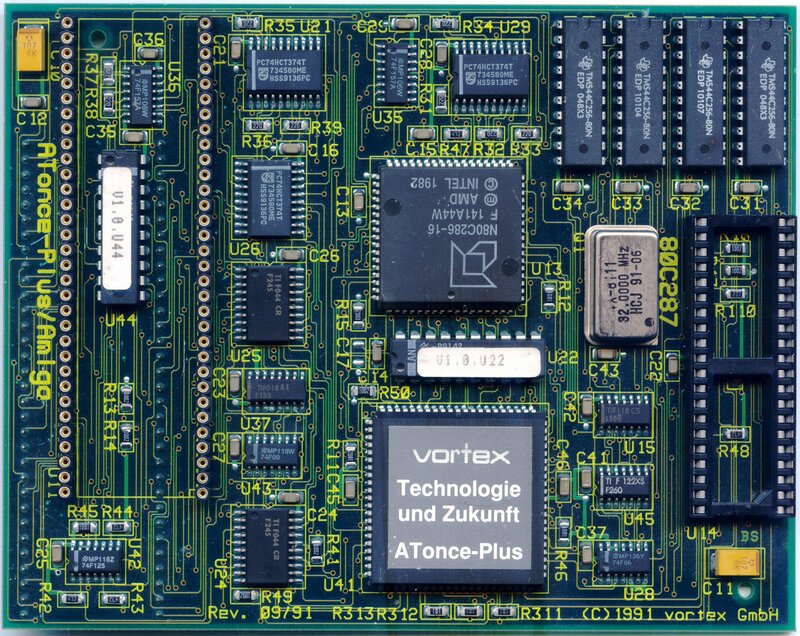 This card actually plugs into the CPU socket of the A500/A2000. 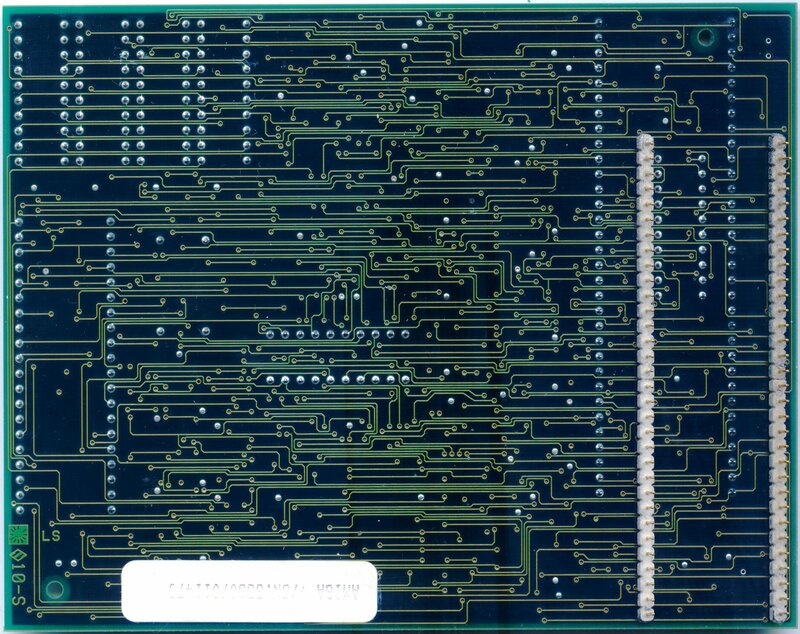 The 68000 which has been removed from the CPU socket is placed onto the ATonce board. 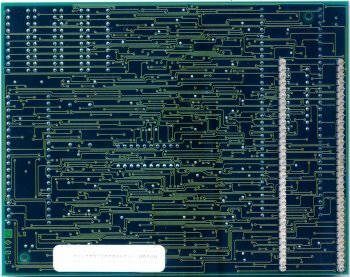 This card is known to have some problems with A500 motherboard revisions older than 6A and requires some special configuring. This card has printer and serial support. The original package contained a 64pin IC socket for interfacing between the CPU socket and the card, 2 floppy disks which contained a system disk and a dos utility with manual. Page contributors: Iggy Drougge, Jani Kultanen, NicDouille, Robert Miranda (GVP Tech Support), Slobodan Todorovic.